Value pack. 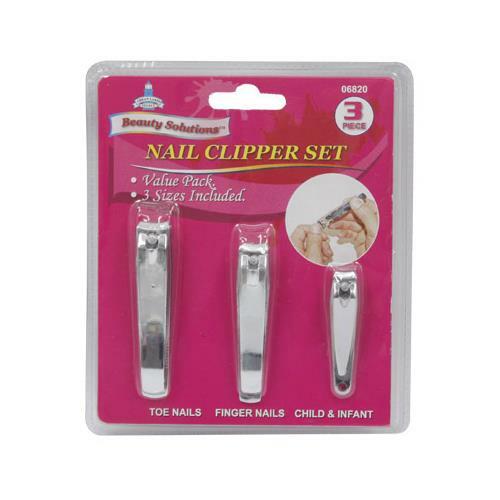 Great for bathroom, desk drawer or purse. 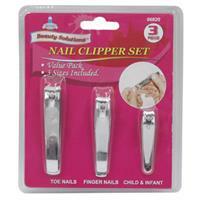 Set includes clippers for toe nails, finger nails and child/infant nails. 3 count per package. 24/inner and 96/case. ⚠ WARNING: This product can expose you to LEAD&DEHP, which is known to the State of California to cause cancer. For more information go to www.P65Warnings.ca.gov. 11.81" x 14.96" x 11.02"